One of Mother Nature’s geological gems, home to many prehistoric fossils. 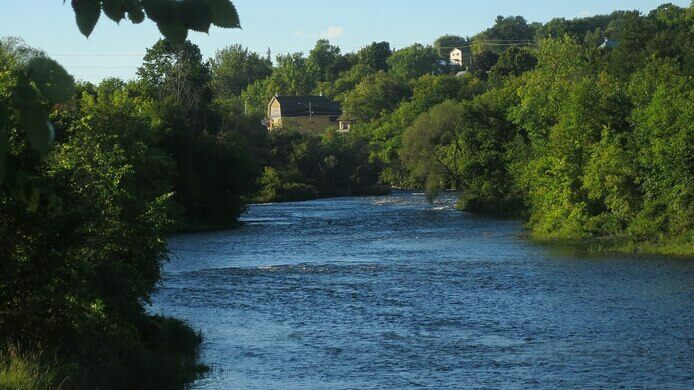 Named for the place where they were discovered, on the Fourth Chute of the Bonnechere River in the beautiful Ottawa Valley, the Bonnechere Caves formed from ancient limestone at the bottom of what was a tropical sea some 500 million years ago. Today, the subterranean cavern is home to many well-preserved prehistoric fossils. Venturing underground, stalactites, coral, and ancient sea creatures are all easily observed. These include well-defined fossilized cephalopods, brachiopods, gastropods, crinoid rings and many more. 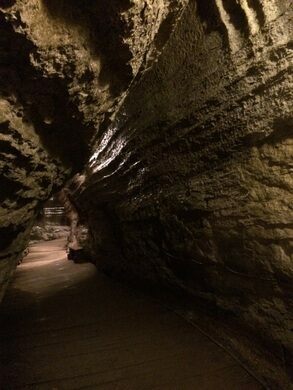 Stairs are used to enter and exit the cave. Back outside, a scenic trail (featuring a sinkhole you can see through the woods) will lead you to some picnic areas and souvenir shop. Early hibernating bats can also be found in the caves, during the last weeks of September through the winter. 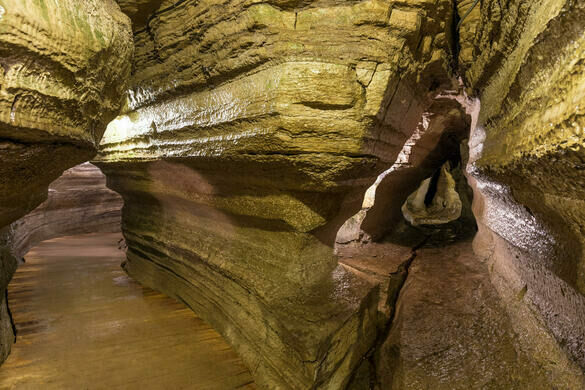 The caves are open from late-May to Thanksgiving. Hour-long guided tours leave every 20 to 30 minutes. The temperature underground is always around 50°F (10°C), so a light jacket is recommended, even in the summer. A massive, fading granite poem is all that remains of one Whitman superfan's tribute to the famous writer.